In a world where business professionals are overwhelmed with news and data, what’s important is to be able to find value in that vast sea of information. To do this requires three qualities that are extremely hard to develop and replicate: sharp analytical non-linear thinking; industry-leading expertise; and networks that reach into every corner of the financial markets. 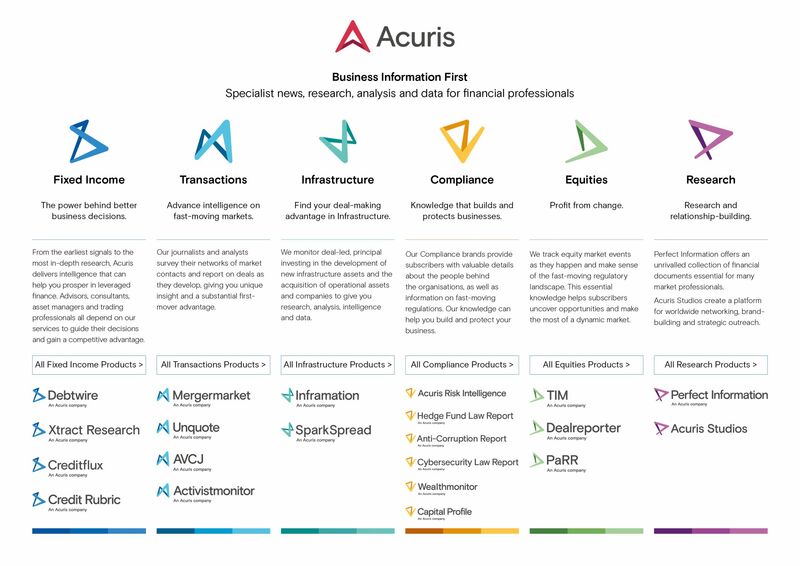 Acuris has all of these qualities. Our insights reveal opportunities that you can act on. These opportunities drive growth, powering your business development. 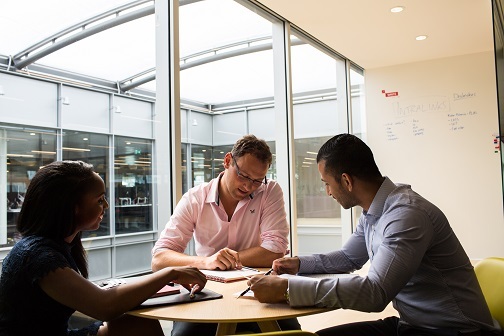 We’re trusted by many of the world’s principal advisory firms, investment banks, law firms, hedge funds, private equity firms and corporates, who rely on our brands to help them understand specialist markets and find ideas for business development. 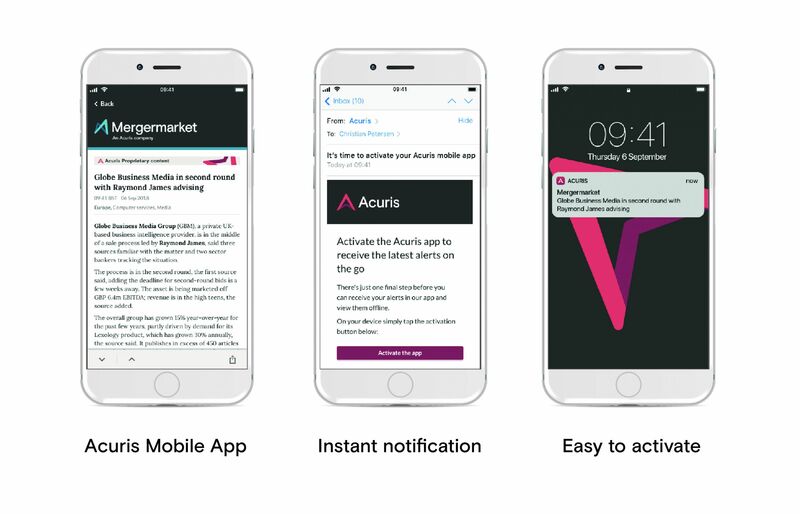 Get the app now for alerts from the following Acuris products: Mergermarket, Debtwire, Activistmonitor, Wealthmonitor, PaRR and Dealreporter. Don't forget we also have an Inframation App available also - click here to download in the Apple App Store.